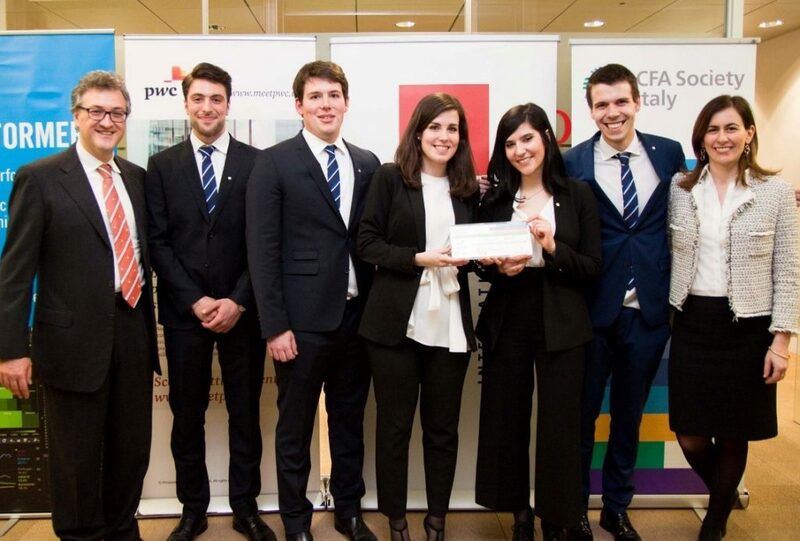 The University of Pavia has won the Italian award of the CFA Research Challenge, in which every year the world’s best Universities participate. Coordinated by Prof. Dennis Montagna and by the mentor Barbara Valbuzzi, our MEFI students Caterina Cavaliere, Daniel Zanin, Fabiola Cofini, Antonio Graus and Paolo Pagnottoni have won with a deep analysis on Moncler company, a famous luxury brand in Italy. The Challenge is a very hard competition, where the best Universities in Italy are challenging each other. Our students have spent a huge amount of time preparing their research, in an high-context environment, in which they had the chance to deal directly with the management.